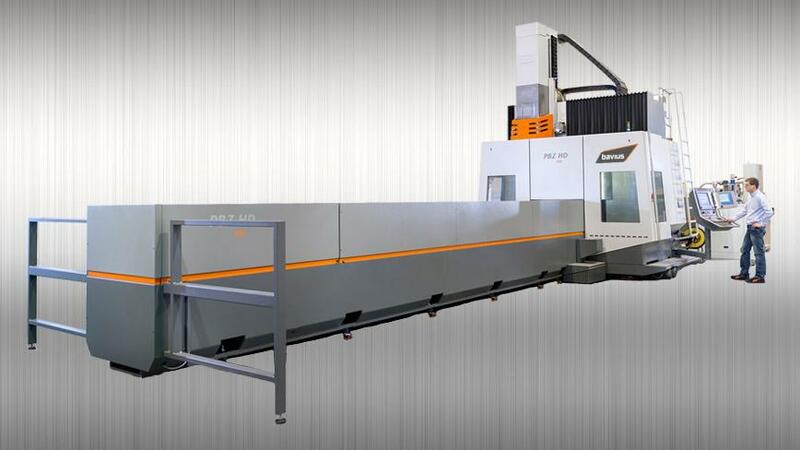 The PBZ HD profile machining center offers high material removal rates up to 6 l/min for cutting aluminum profiles and solid material as well as stable and precise machining. The basis for this is provided by the solid machine design with fixed portal as well as a head and spindle combination designed for powerful and dynamic 5-axis simultaneous machining that guarantees optimum performance. The PBZ HD profile machining center offers 5-axis simultaneous machining and allows interference-free, precise machining over the entire workpiece length up to max. 1181 in. All five sides of the workpiece are completely machined in just one clamping operation, including milling, sawing, drilling and thread milling and cutting. The PBZ HD machine concept is optimally realized in terms of ergonomics: the machine does not just offer ergonomic access to the workpiece, but also provides the operator with a very good view into the workzone. This good ergonomic design is a common feature of all machine sizes. The machine concept also allows the choice between clamping vice and table versions.